The Presencing process is a journey that connects us more deeply both to what wants to emerge in the world and to our emerging, higher self. While Clarity Facilitation draws upon many approaches for working with organizational and social change, a primary theory and methodology that underlies our work is Presencing. Clarity Facilitation was the lead organizer for the Minnesota Presencing Forum that happened in October 2011, and worked with InCommons and several other partners to organize Minnesota Presencing Community gatherings and trainings in November 2011, January 2012, and March 2012. 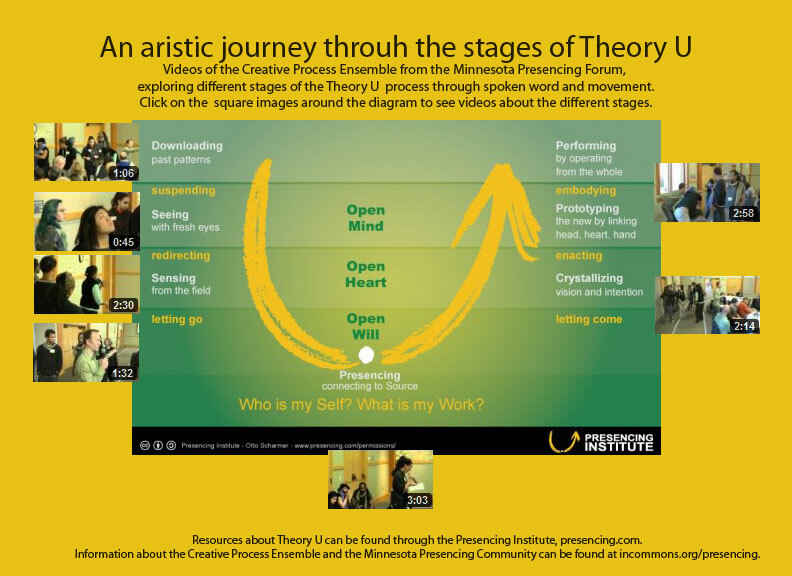 Find out more about Presencing at the Presencing Institute website and through the diagram and videos below.